Editor’s note: this article has been updated to include comments and analysis by Monty & Ramirez Attorney, Jacob Monty. Trump made the nomination a day after Pearce’s second term on the Board ended. Pearce went on the Board in 2010 as a nominee of President Barack Obama. The five-member Board currently has three Republican members—Chairman John F. Ring, William J. Emanuel, and Marvin E. Kaplan—and one Democrat, Lauren McFerran. If Pearce’s nomination is confirmed, the Board will retain the 3-2 Republican majority it has had since Trump nominees Ring, Emanuel, and Kaplan joined the Board. The renomination of Pearce follows news reports that a deal between the White House and Senate leaders was in the works related to the NLRB seat. Bloomberg Law reported August 22 that talks were under way to give Pearce another term in exchange for quick action on other pending Trump nominations for various posts. Burton J. Fishman, an attorney with Fortney & Scott, LLC in Washington, D.C., and a frequent contributor to Federal Employment Law Insider, says the Pearce nomination comes amid a “mini-battle,” with unions and Democrats facing off against the Board’s Republicans over joint employment and other Obama-era precedents. Fishman says the joint employment issue shows that Democrats have succeeded in “weaponizing” the recusal process. “So, the Pearce reappointment takes place in an already intensified milieu,” he says. “The real surprise was the speed of the renomination,” Fishman says. “Had Trump delayed, the Board would have had only one Democrat—which may remain true depending on how quickly the Senate acts” to confirm the nomination. The extent of any deal over the nomination will likely become clear “once we know the speed with which the Senate acts on the nomination,” Fishman says. As for what another Pearce term would mean to employers, Fishman says Pearce can be expected to vote much like any other Democrat nominee. Under Obama, a seat was left open for a time, and that allowed the Board to hand down decisions involving joint employment, clear successorship standards, intermittent strikes, and other labor precedents, Monty says. The Pearce nomination faces strong opposition from management groups, Monty says. But confirmation is possible if Trump can leverage the confirmation for a “package deal” with the Democrats that would seat Republican picks for the Equal Employment Opportunity Commission (EEOC) as well as several Department of Labor (DOL) picks that are awaiting confirmation. “Understandably, the business and management lobbies are the biggest roadblock in getting any exchange done, as Pearce represented a key player in establishing many Obama-era workplace policies that are currently under scrutiny,” Monty says. Since the Board gained a Republican majority with the Trump nominees, it has sought to reverse some of the actions taken by the Democrat-majority Board under Obama. The standard for what constitutes joint employment is one of the closely watched issues. In June, Ring announced the Board had begun the process to issue a proposed rule on joint employment. The decision to begin the rule process was over the objection of Pearce and McFerran. The rulemaking move is seen as a way to return to the more employer-friendly definition of joint employment that existed before the 2015 Obama-era decision created a standard saying an employer can be a joint employer of another employer’s employees if it exercises even indirect control over the workers. In 2017, with a Republican majority, the Board took up another joint employment case and returned to the previous, more employer-friendly standard that said employers had to exercise direct control to be considered a joint employer. But in February 2018, the Board vacated that decision after conflict-of-interest accusations led to claims that Emanuel should have recused himself from the case since his former law firm was involved in the previous joint employment case. 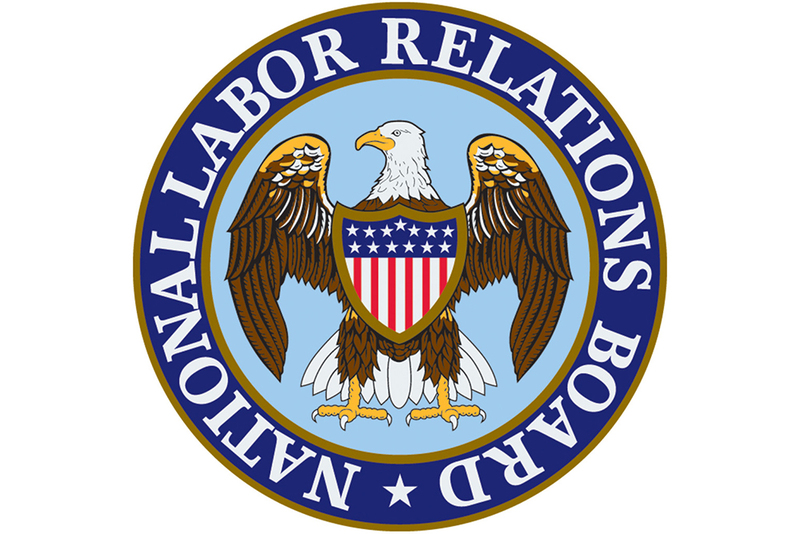 The Republican-majority NLRB also is considering other rollbacks to previous Board decisions. For example, in August the Board invited briefs on whether it should alter its decision related to union access to company e-mail systems. In 2014, the Board ruled that employees who have been given access to their employer’s e-mail system for work-related purposes have a presumptive right to use that system—on nonworking time—for communications protected by Section 7 of the National Labor Relations Act. That Obama-era decision overruled a less union-friendly 2007 decision.